Back in a July webinar, Kevin Dunne, our VP of Strategy and Business Development discussed the rumors about the sale of HPE software. Turns out, the rumors were true. 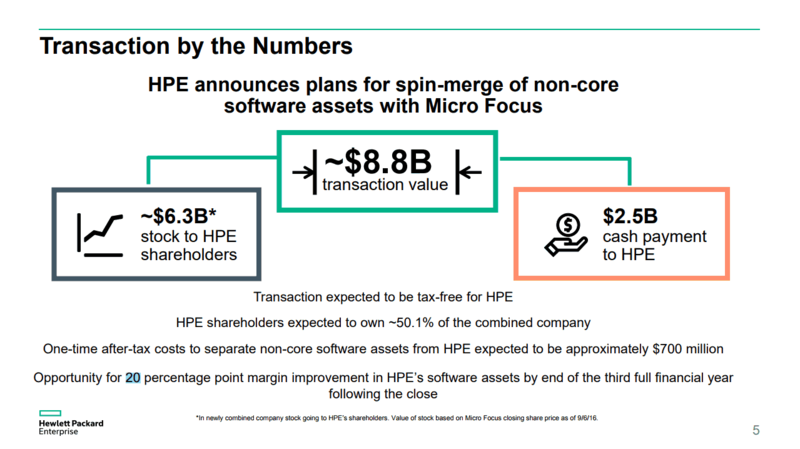 If you look closely at the details, you will notice that the agreement has HPE offloading their ‘non-core’ assets which include, Mercury Interactive’s HP ALM, HP Loadrunner, HP UFT, and HP Quality Center. Although the investors remain optimistic about the spin-merger, what does this mean for the actual users of these HP software products? What does this mean for the companies that have invested millions of dollars in these tools? One thing we do know for sure — what’s good for investors, is not always good for customers. This is great news for investors, but not so great for customers. Why? Because the cost cutting will directly impact their ability to enhance the HP software over time. Now with this spin-merge and the departure of key HP staff, there is no question that the HP Octane roadmap, and any other product that was in active development, before the merger will be in serious jeopardy. If you have been on HP Quality Center/ALM for a long time, the prospect of changing could be scary. You have a lot invested in the HP stack. Your team is well trained on the software. However, if you are trying to take an agile approach and move faster, HP software is probably slowing you down now. And it will only get worse in the future as Micro Focus stops enhancing the product. We can help you make a quick and effective transition off the HP tools. Request a demo today and learn how you can move away from HP and on to modern testing tools. If you want to read more about HP Quality Center, I’ve compiled a list of our resources below. Where was the slide below? Looks like it got removed in a website update. We have added it back along with the source.